Kim Yong-Nam will be the highest-level official from the North for years to travel to the other side of the Demilitarized Zone that divides the peninsula. Kim Yong-Nam will arrive in South Korea on Friday for a three-day visit. Seoul, South Korea: North Korea's ceremonial head of state will visit the South this week in connection with the Winter Olympics, Seoul said late Sunday. His trip will be the diplomatic high point of the rapprochement between the two Koreas triggered by the Pyeongchang Olympics in the South, which have their opening ceremony on Friday -- although analysts warn that their newly warmed relations may not last long beyond the Games. For months, it ignored Seoul's entreaties to take part in a "peace Olympics", until leader Kim Jong-Un indicated his willingness to do so in his New Year speech. 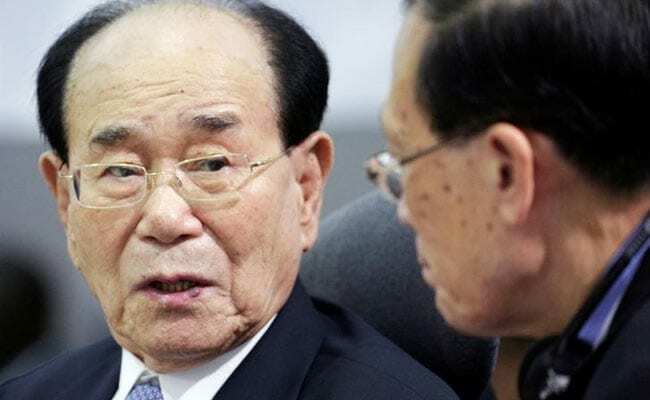 It will be led by Kim Yong-Nam, who is leader of the Presidium of the Supreme People's Assembly, the North's ruling-party-controlled parliament, Seoul's unification ministry said in a statement. Kim -- who is not a close blood relative of leader Kim Jong-Un -- will arrive on Friday for a three-day visit, accompanied by three other officials and 18 support staff, the ministry said it had been told by Pyongyang. The South Korean ministry did not explicitly say whether Kim would go to the Pyeongchang opening ceremony -- which will be attended by the US Vice President Mike Pence. Kim Yong-Nam will be the highest-level Northern official to visit the South since 2014. But it may be seen as disappointing by some if he proves to be the most important member of the delegation, as he is largely considered a figurehead whose public diplomatic role leaves it unclear how much political power he really has. He is regarded as the ceremonial head of state, but does not hold the title of national president -- and nor does Kim Jong-Un. Instead it is retained by Kim Jong-Un's grandfather, the North's founder Kim Il-Sung, who remains Eternal President of the Democratic People's Republic of Korea -- the country's official name -- despite dying in 1994. Speculation about who could lead the delegation had been rife in the South for weeks, with some analysts pointing to Choe Ryong-Hae, who is the vice chairman of the Central Committee of the ruling Workers' Party and seen as Kim Jong-Un's right-hand man. They did not meet any senior officials of the government in Seoul, but it may be different on this occasion.